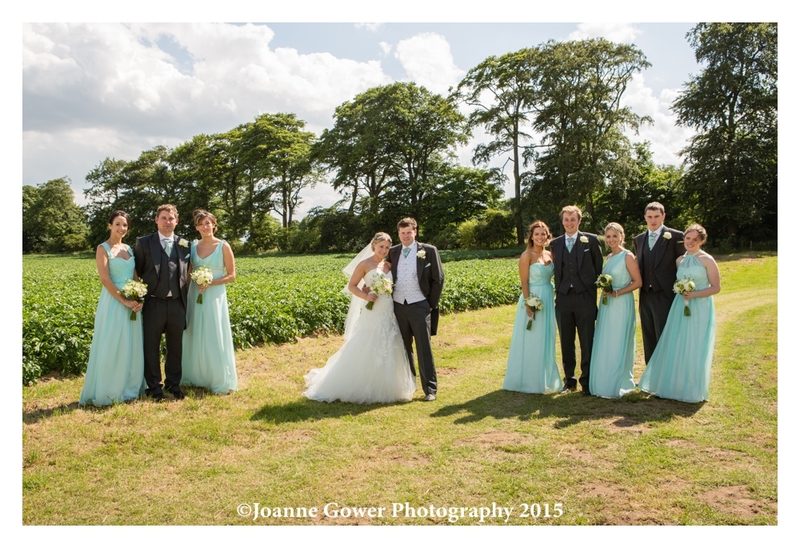 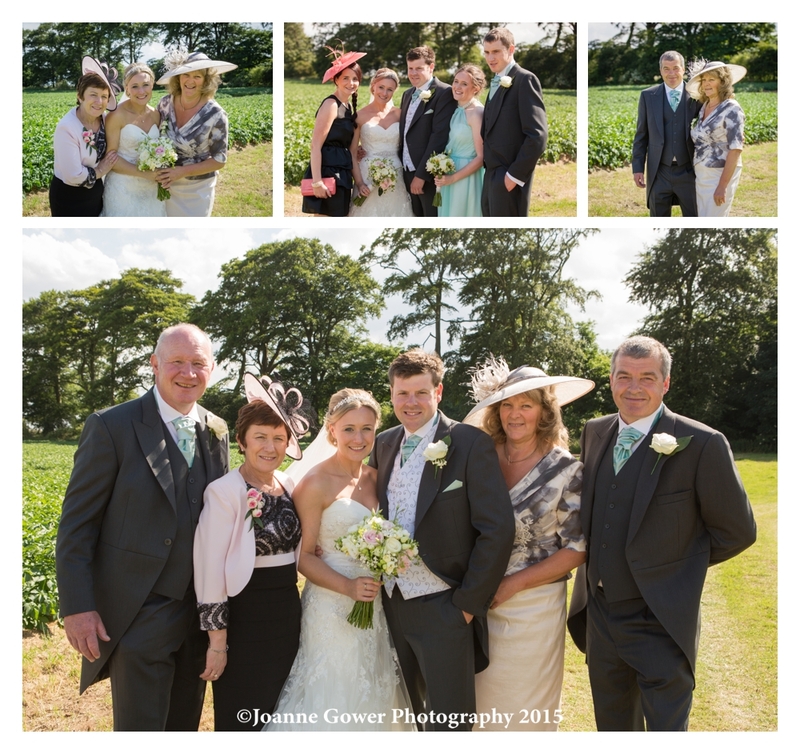 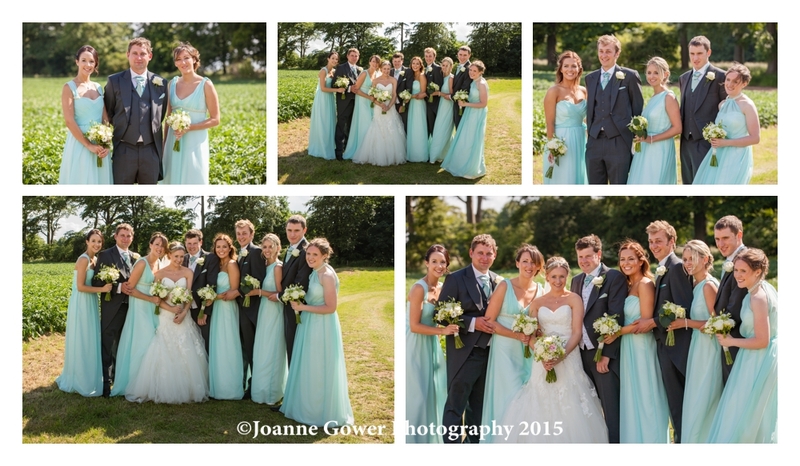 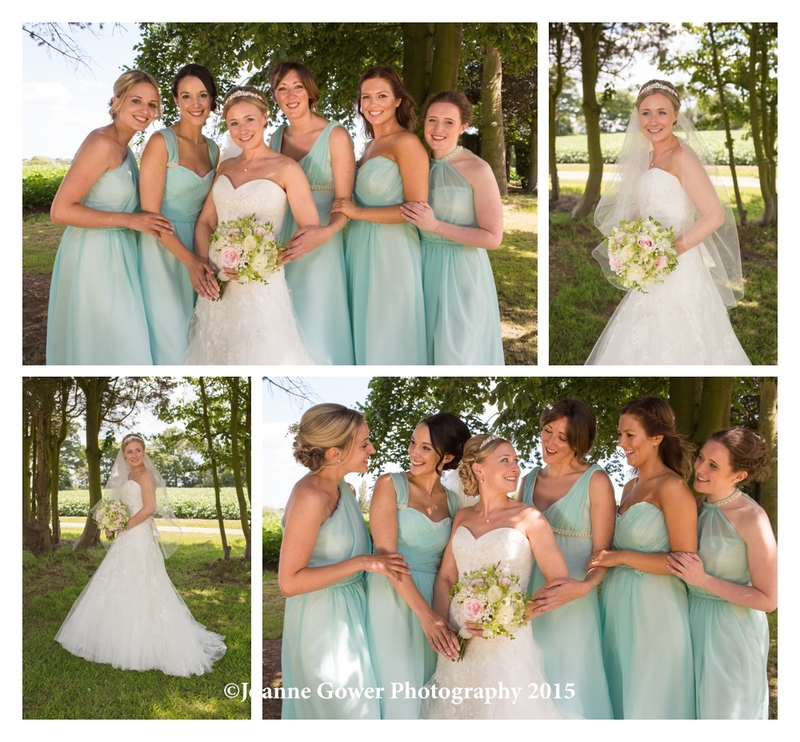 Congratulations to Sarah and Richard who were married yesterday in the glorious sunshine in Paull near Hull! 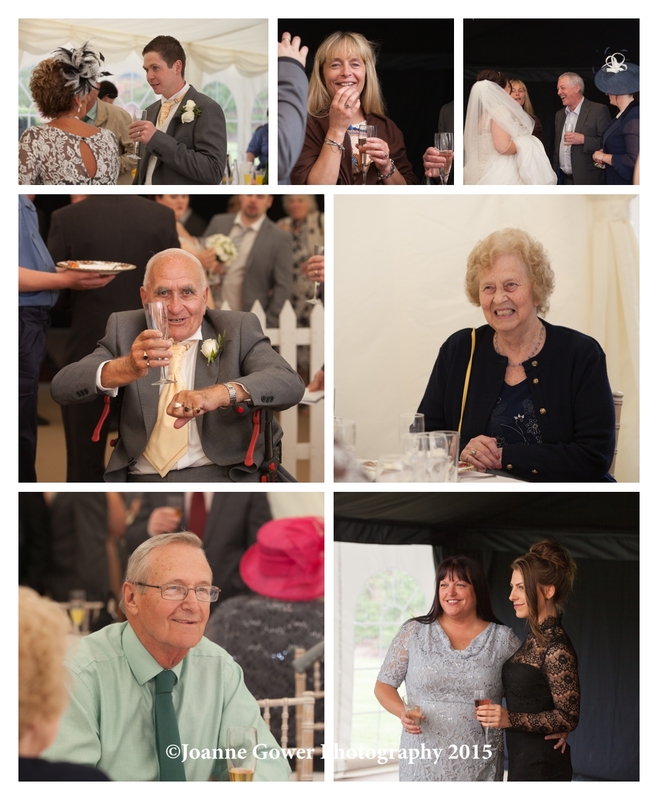 For once we didn’t have to dodge the British weather and it was just as well, since the celebrations were held in a marquee at the groom’s parents farm. 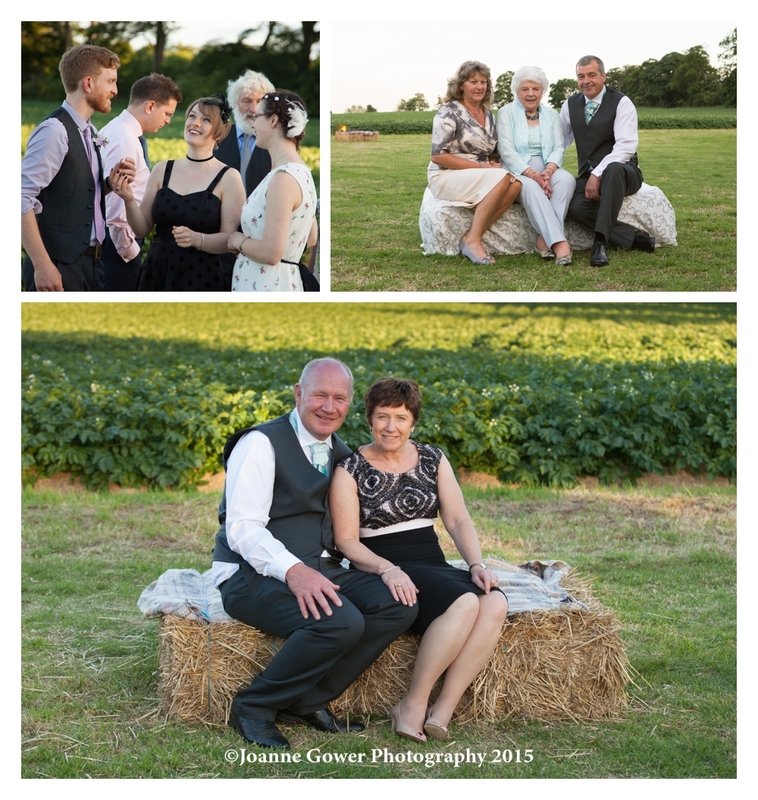 As always, time was of the essence and for this wedding, we followed a more informal photography brief documenting the day as it took its natural course. 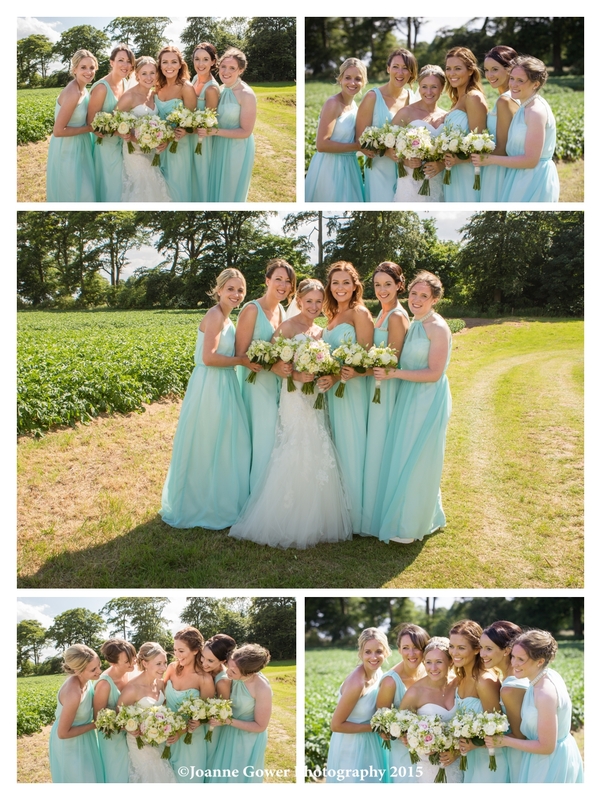 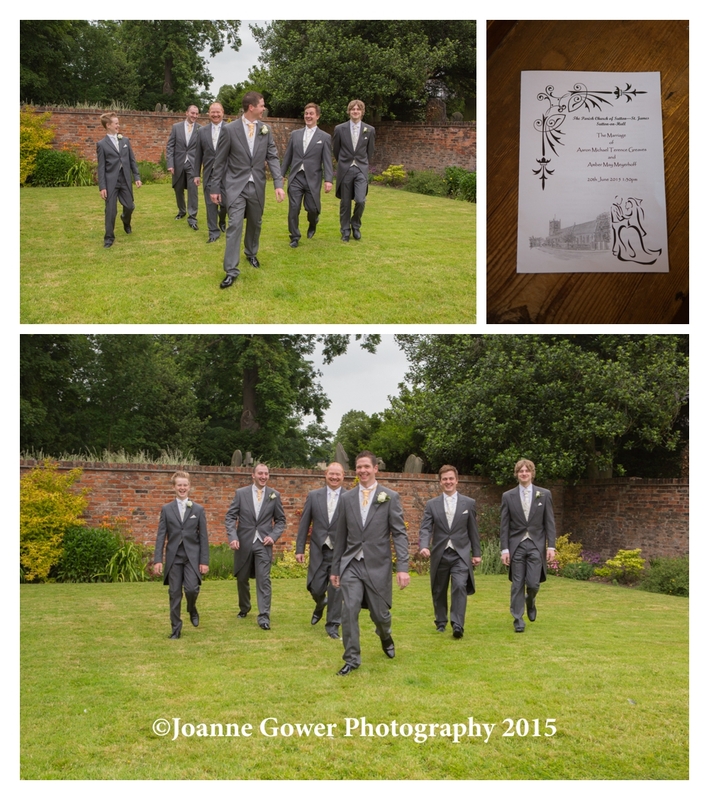 Sarah looked stunning in her dress from Ava Rose Hamilton Bridal Gowns and Richard and his attendants wore suits from Slaters. 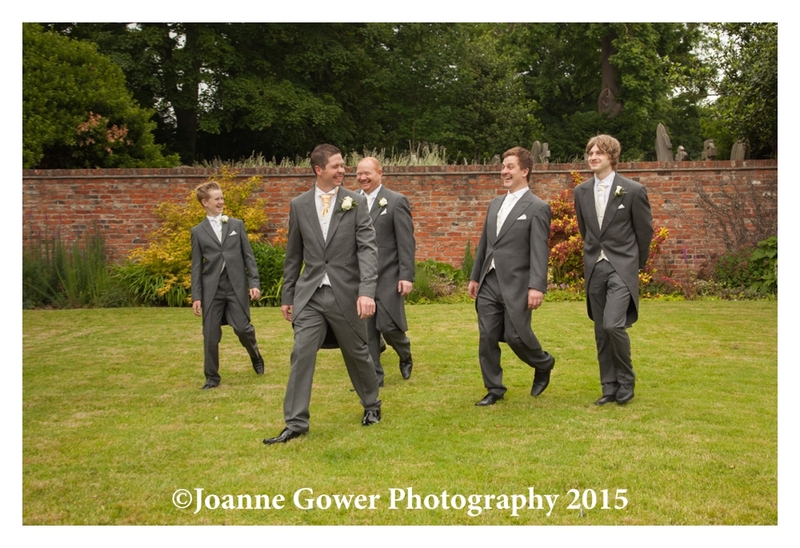 The bride kept with tradition and was a few minutes late and was escorted into church by her father and her five bridesmaids. 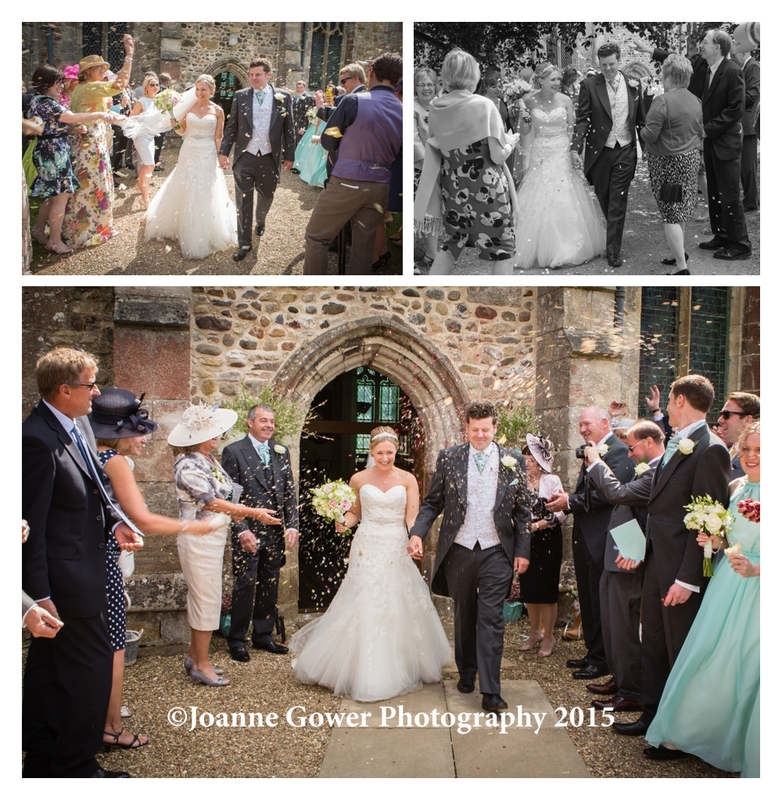 The vicar delivered a lovely service and as Sarah and Richard exited the church, they were greeted by family and friends who showered them with rose petal confetti. 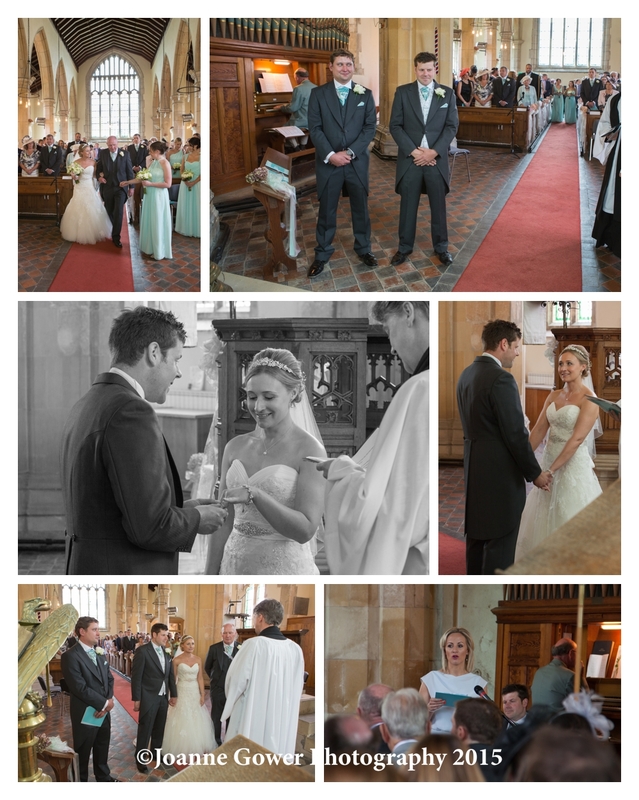 Throughout the day, we were delighted to work alongside James Hollingsworth from Digi-Scope Productions, who was true gent, working quietly and discretely to produce Sarah and Richard’s wedding video. 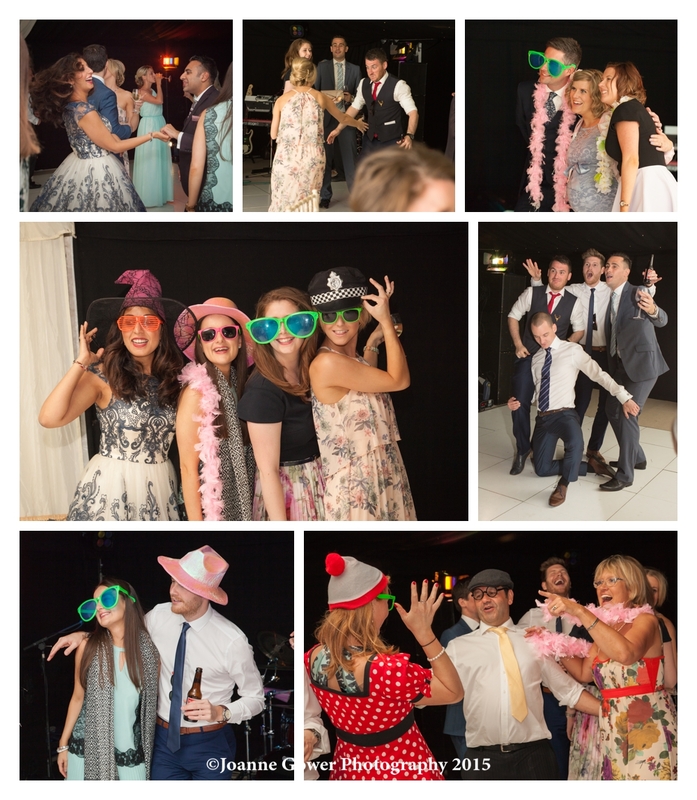 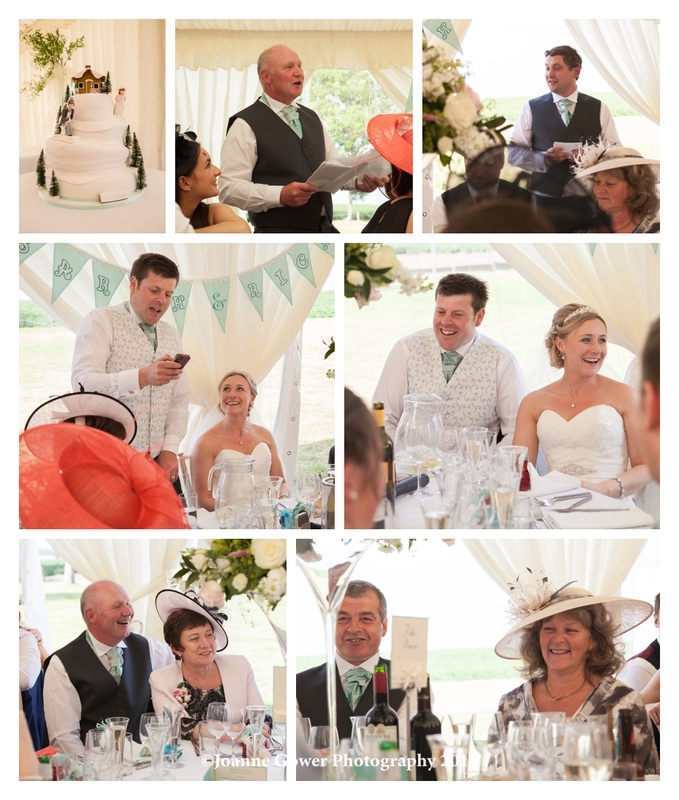 From start to finish, it was a beautiful day, from the warm and friendly welcome in the morning, right up to the first dance and the celebrations at evening party. 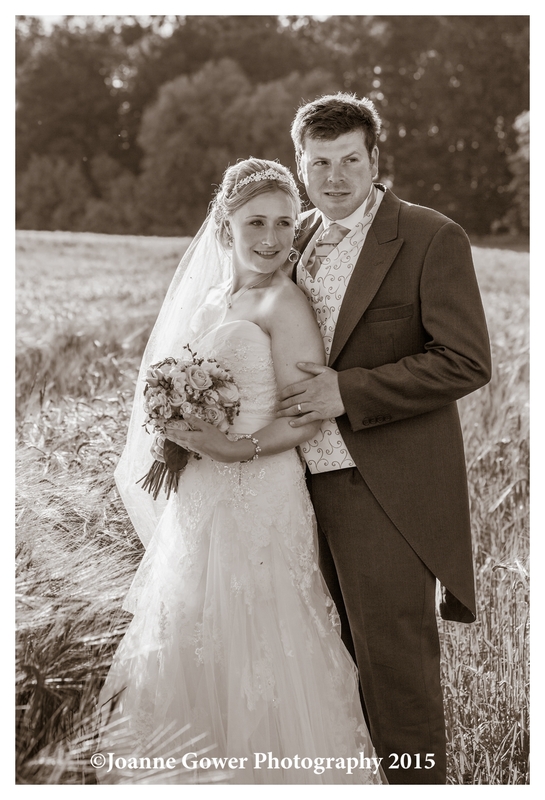 We wish Sarah and Richard every happiness in their married life together and look forward to sharing the rest of their wedding photography with them. 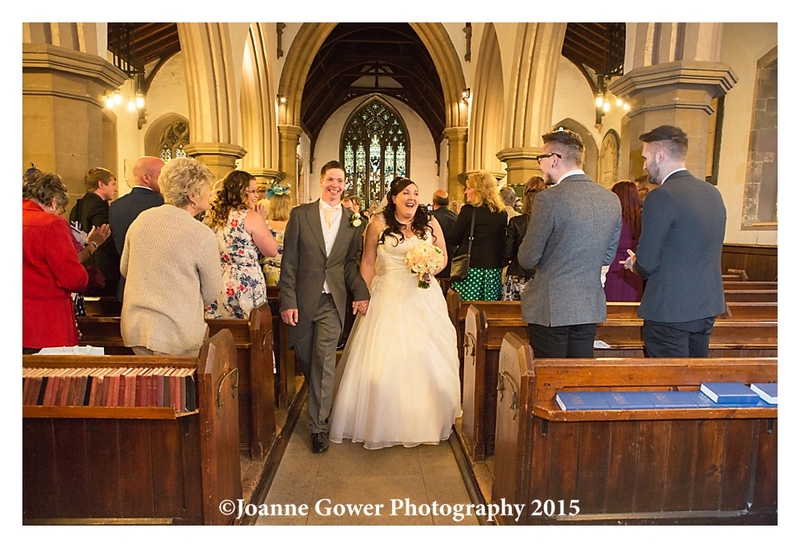 I am delighted to share with you the preview wedding photography for Amber and Aaron who were married yesterday at St James Church, Sutton near Hull. 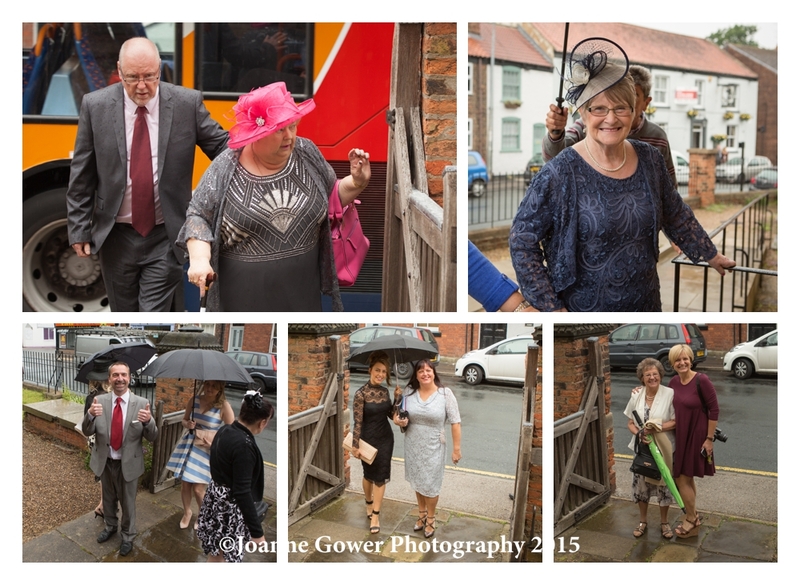 The day started with the usual British summertime rain but we were met with the sunniest of welcomes at the brides parents home. 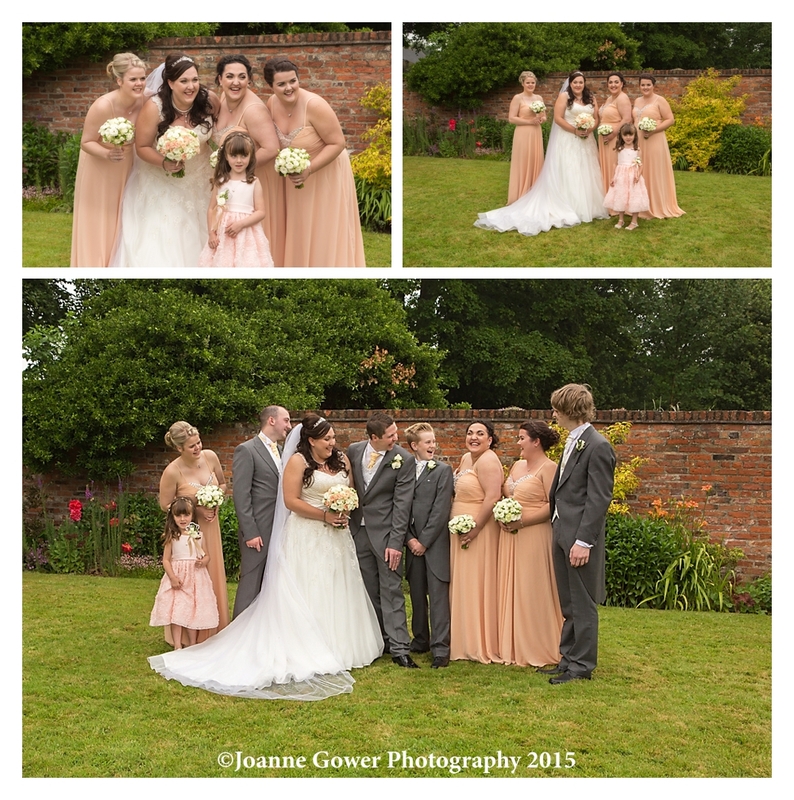 Thanks to Tracy and Cleve for making us so welcome and to the brides sister Jade who was a great help finding all the lovely detail for us to photograph first thing. 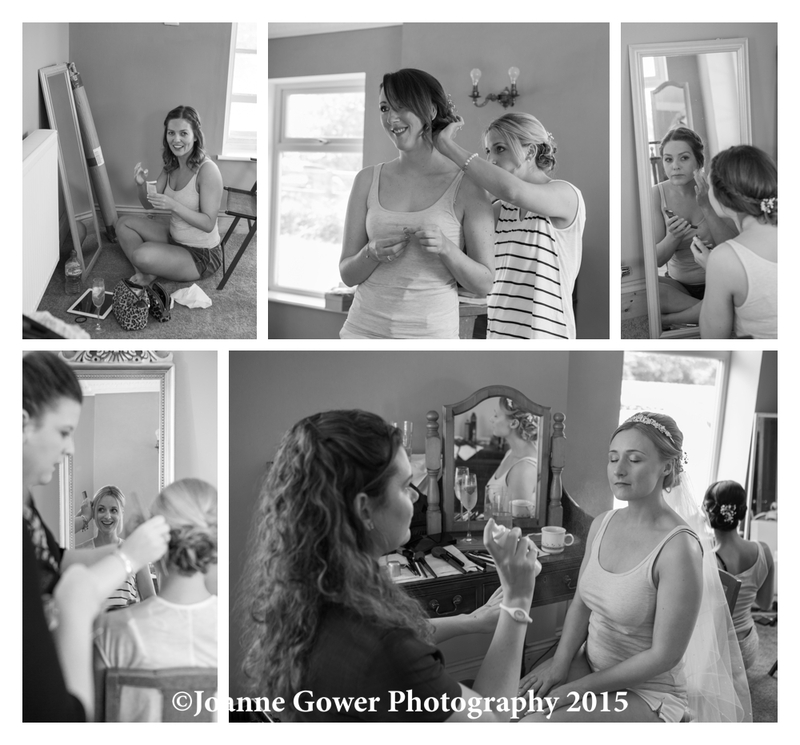 The ladies took a very relaxed approach to getting ready and it was lovely to be amongst them whilst they chatted happily about the day ahead. 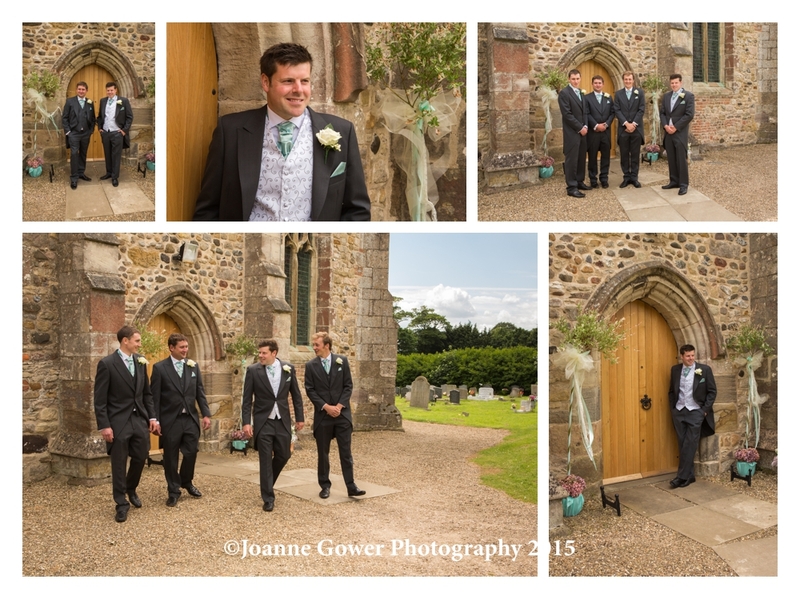 We headed off to meet Aaron, and as always, we felt a little guilty dragging the groom and his friends out of the pub and away from their beers for some photographs before the ceremony. 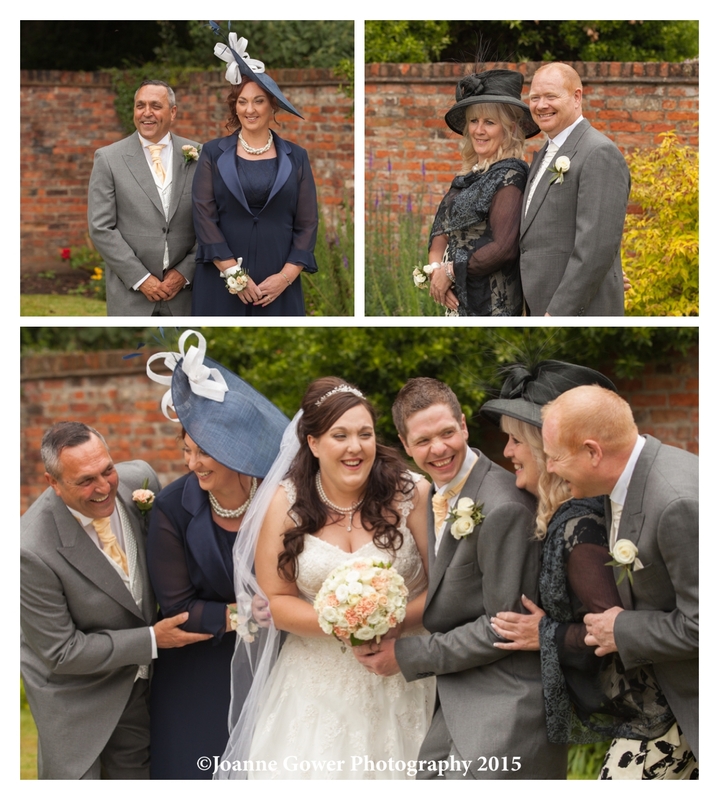 They were all in good humour and we were able to do their photographs in super quick time, which was just a well as the heavens opened and the dreaded rain came down in bucketfuls! 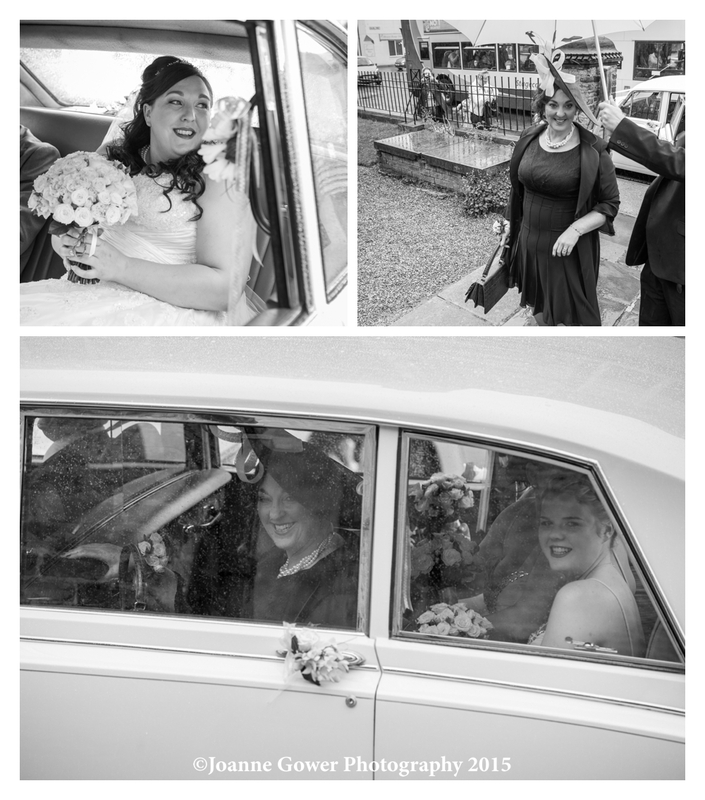 Undeterred the bride and the bridesmaids arrived and made a quick dash for cover in the church and the service was soon under way. 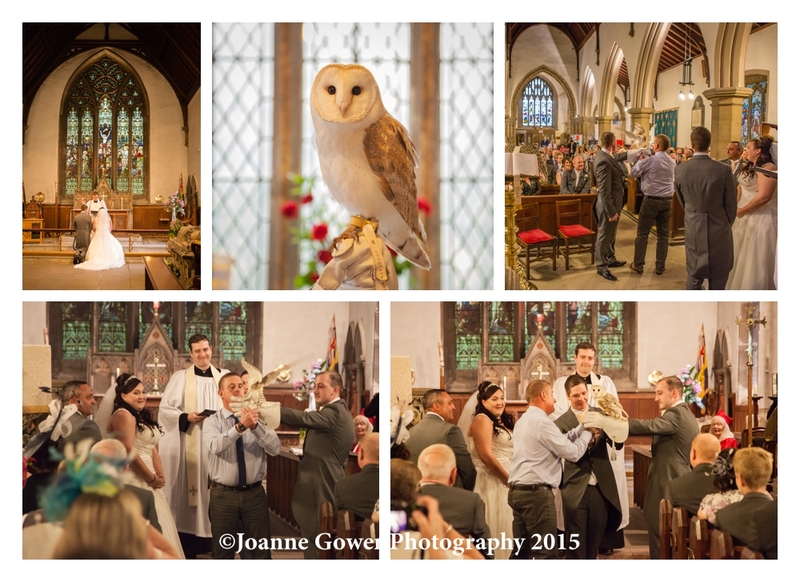 There was a gasp of surprise from the congregation when a beautiful owl flew the rings in and the vicar delivered a lovely service including a very personalised tale of how the happy couple met. 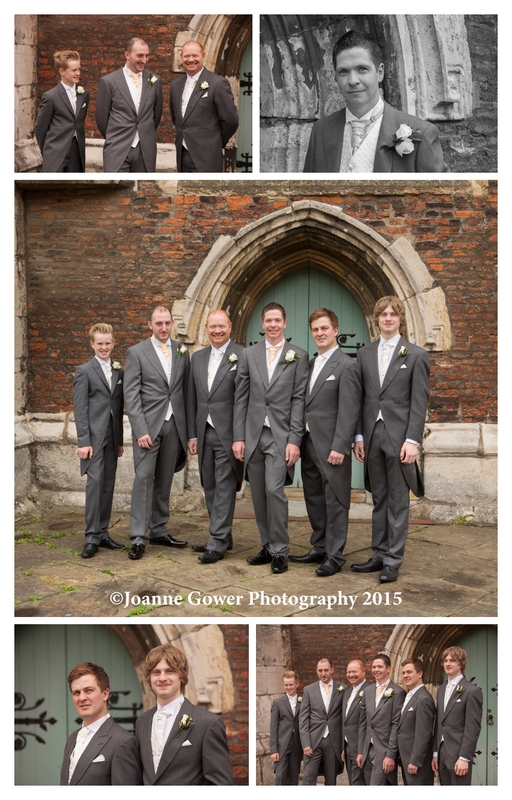 Following the procession down the aisle the happy couple were brave enough to venture outside despite the rain, and within a few seconds it stopped and we quickly took advantage to do the group photographs. 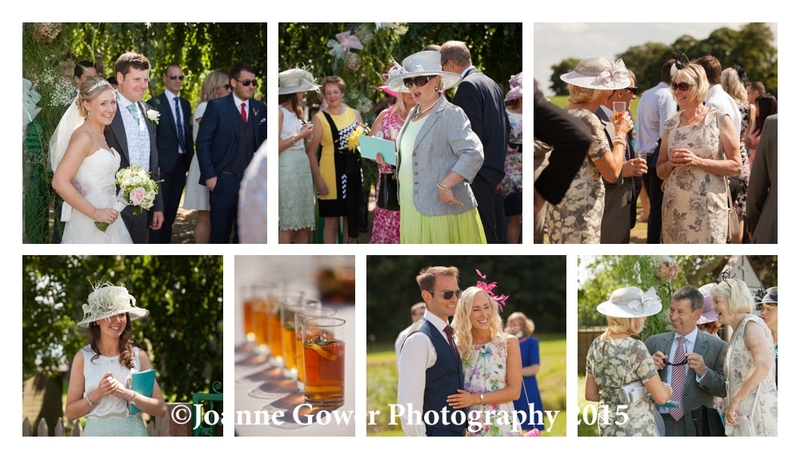 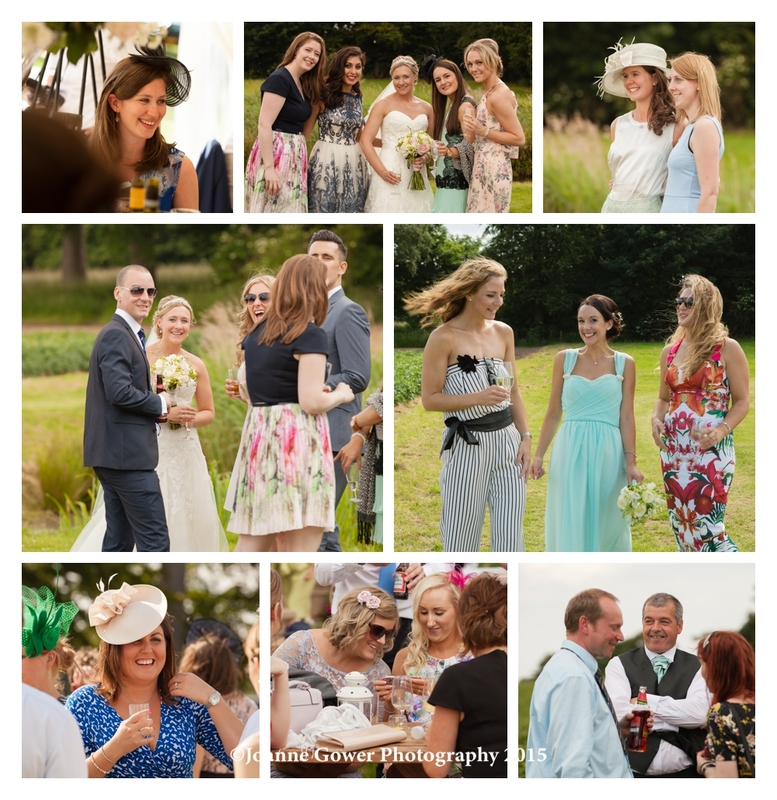 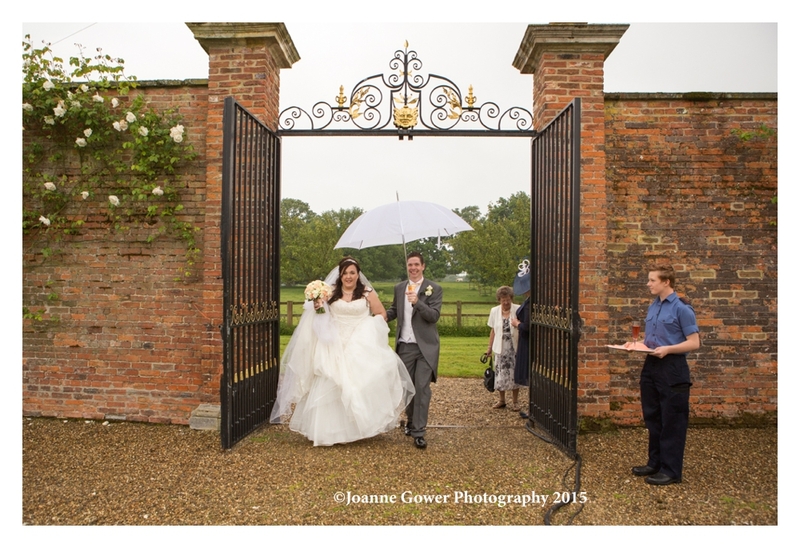 The wedding breakfast was held in a marque within the walled gardens at Burton Constable Hall and guests enjoyed drinks and canapes before sitting down for their formal meal. 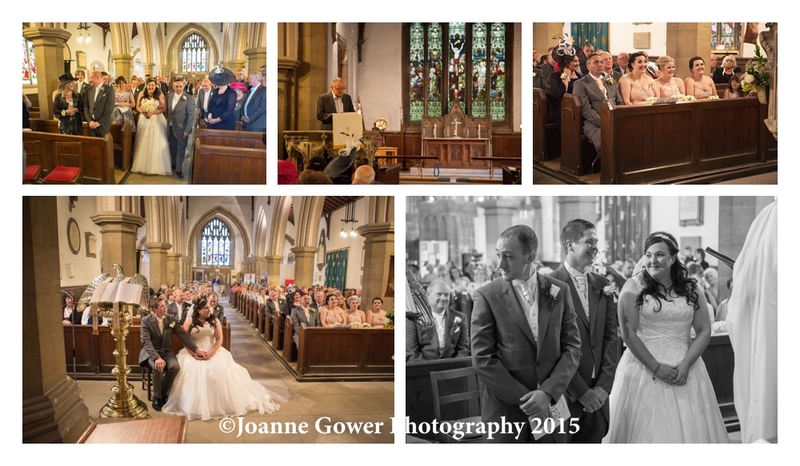 The speeches were a delight; warm, from the heart and genuine. 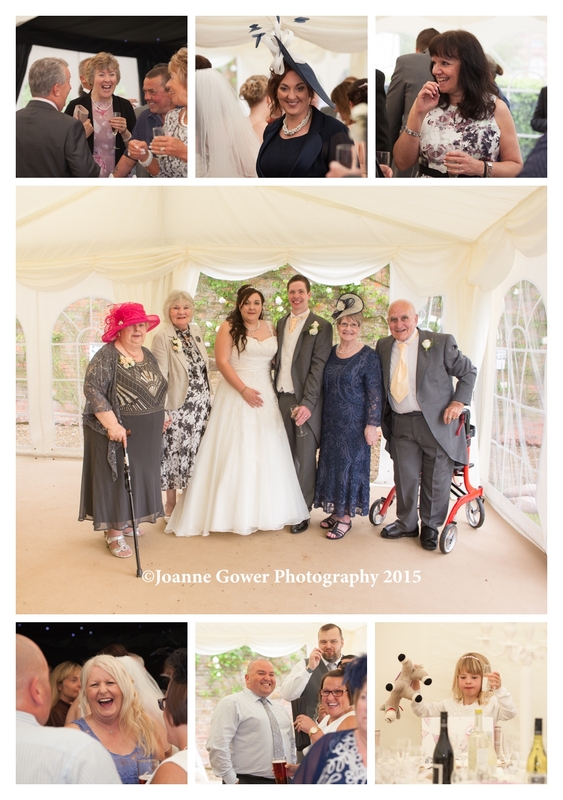 It was lovely to witness the sincere love and appreciation that Amber and Aaron and their family and friends clearly have for each other. 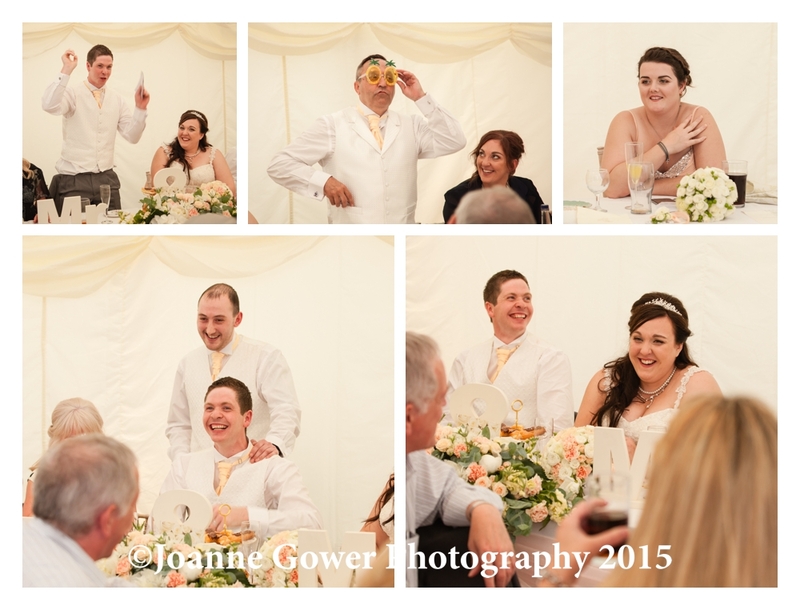 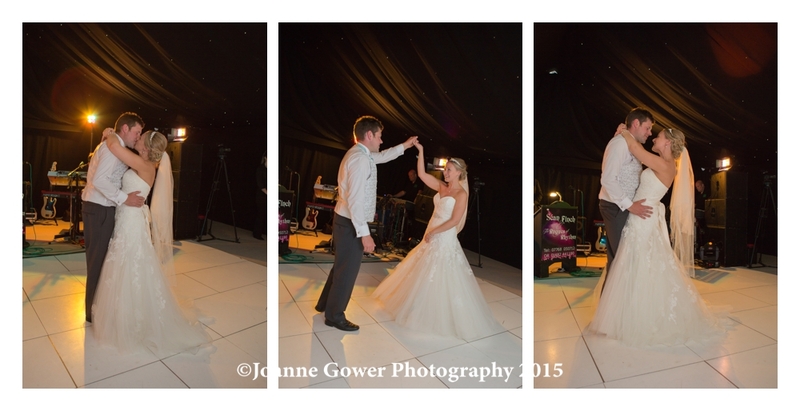 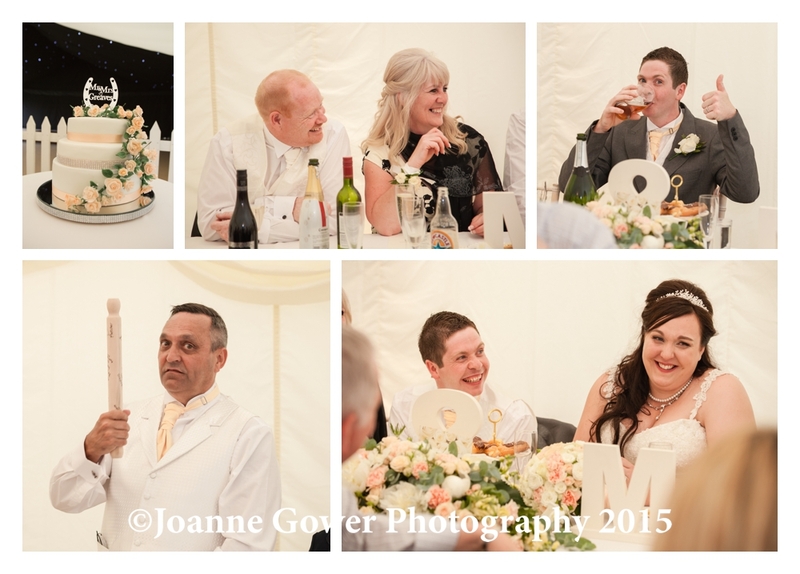 Lots of laughter rang out through the marque and there were one or two tears of happiness too! 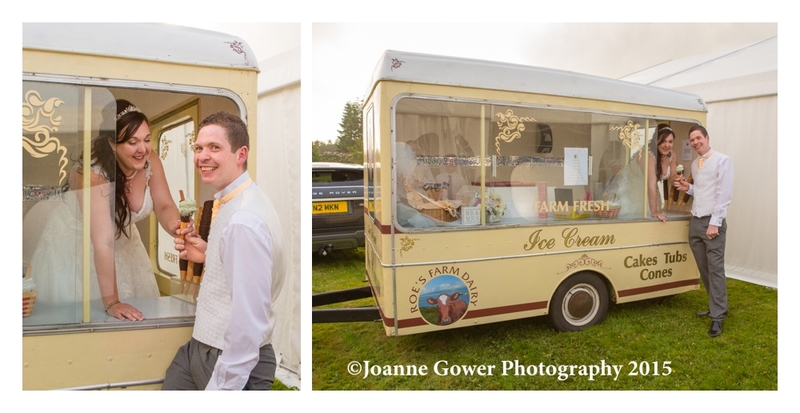 The day was rounded off beautifully with the arrival of Roes Farm Dairy Ice Cream Cart (this week I enjoyed the rhubarb and vanilla!) 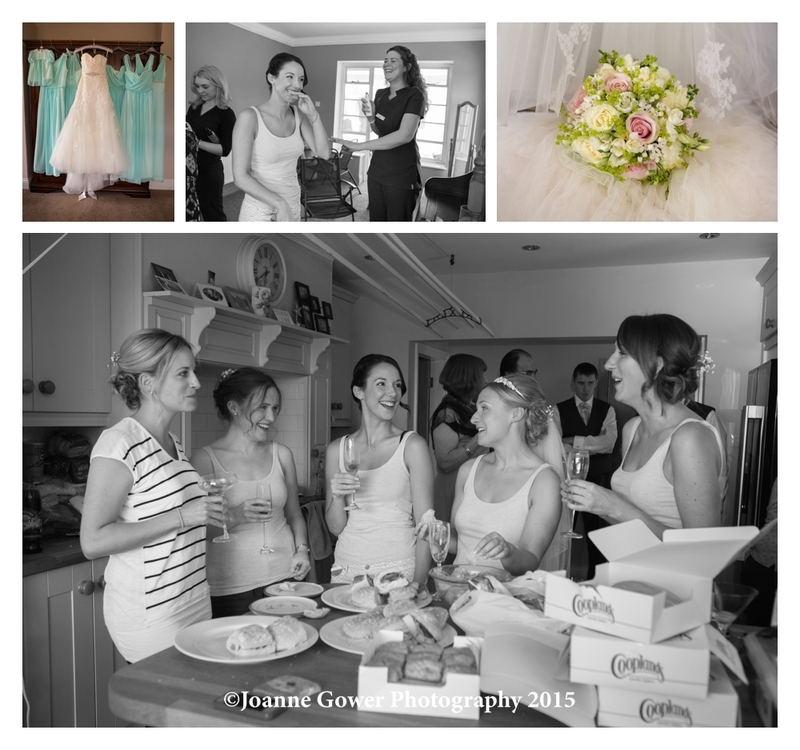 and once again the ladies excelled themselves providing some delicious treats for the kids and adults alike. 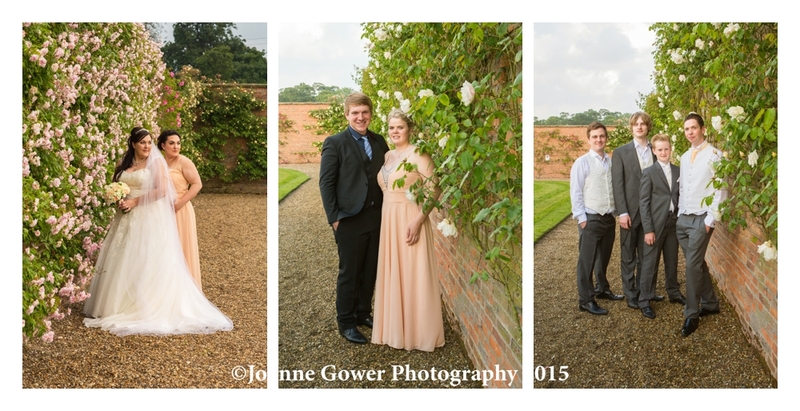 Amber and Aaron are a really lovely couple. 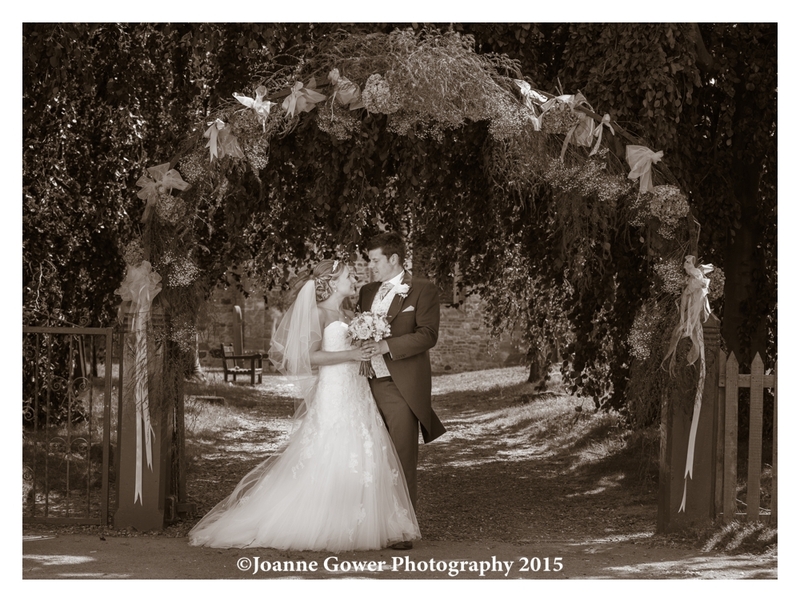 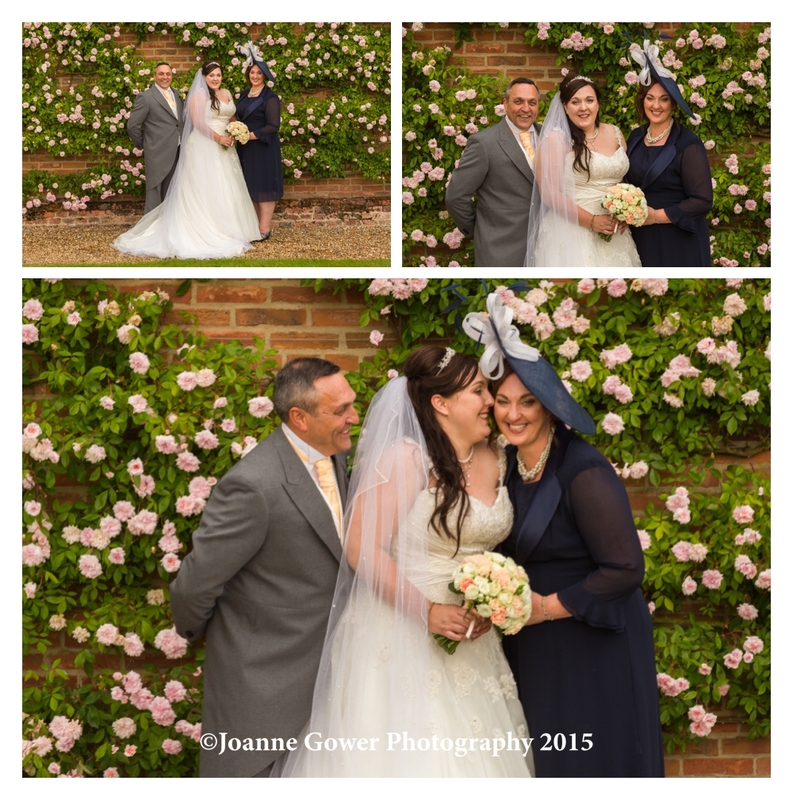 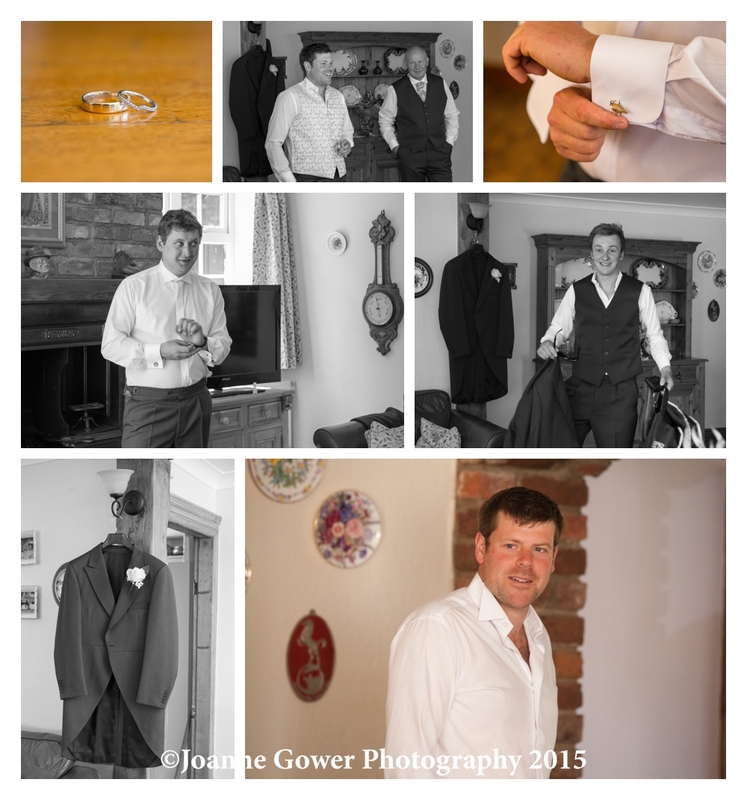 We had a fabulous day doing their wedding photography. 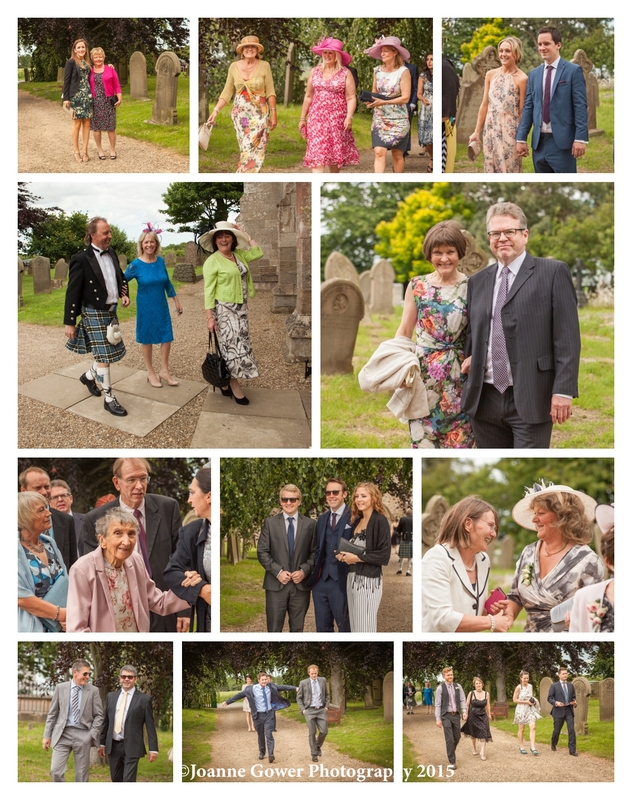 Their friends and family were warm, friendly and a joy to be amongst. 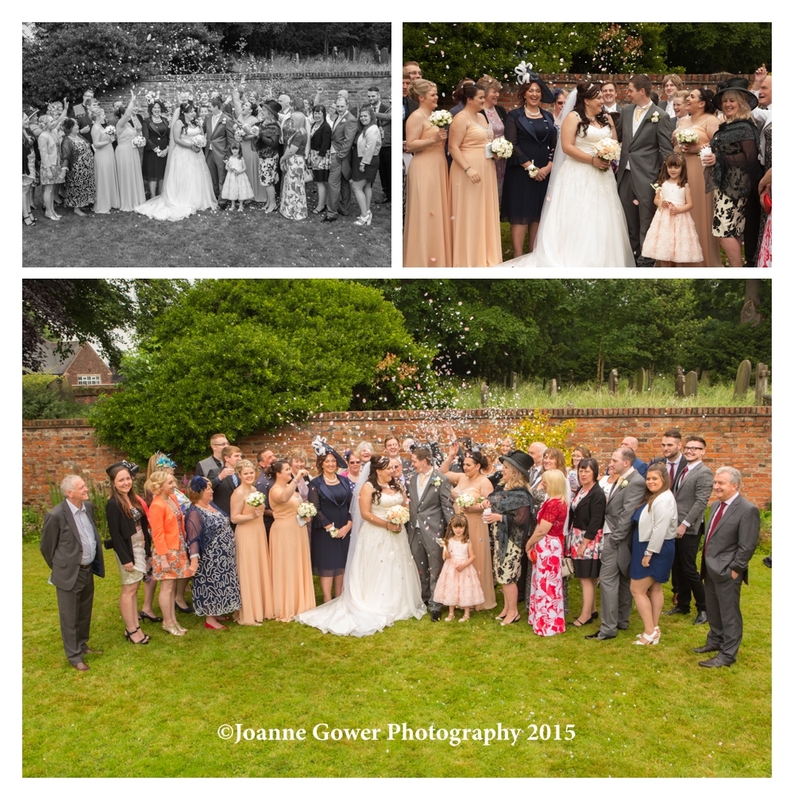 Sometimes, at a wedding we almost forget we are not part of the family. 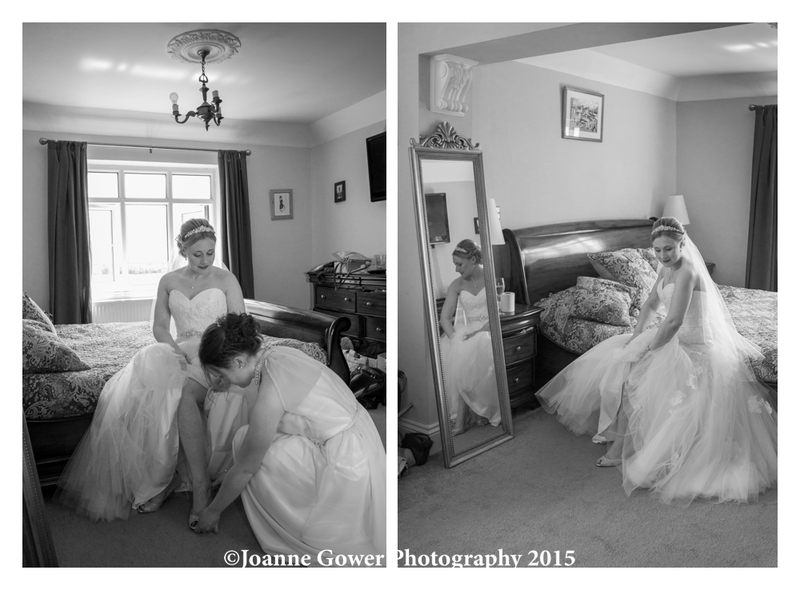 Today was one of those days. 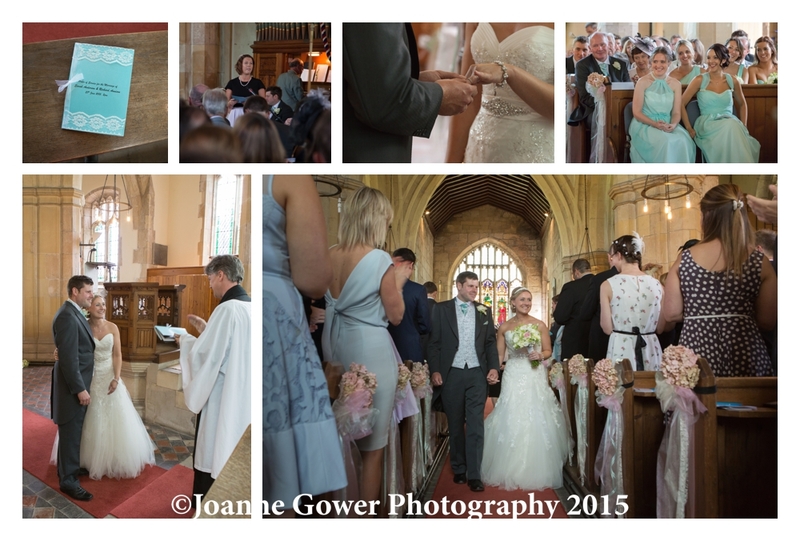 Thank you to everyone for making us so welcome! 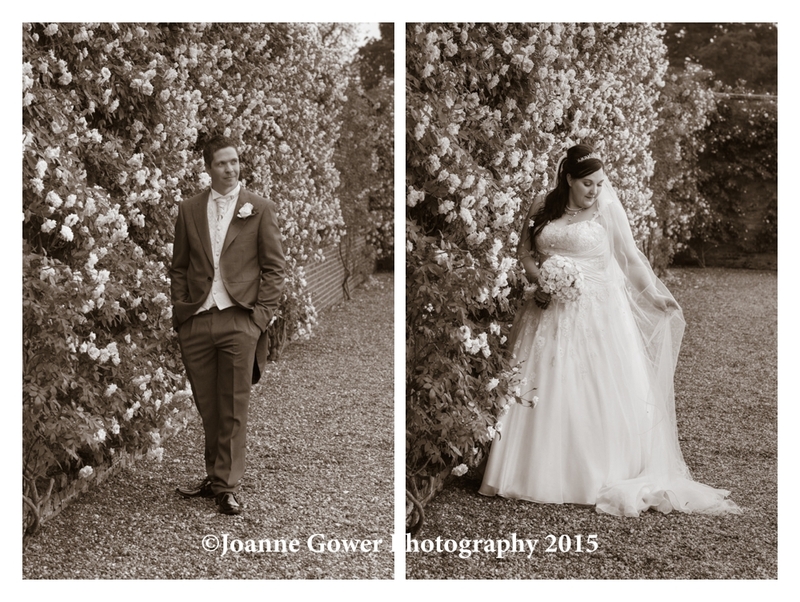 We had a wonderful time taking the wedding photographs and cannot wait to share the rest of them with Amber and Aaron soon! 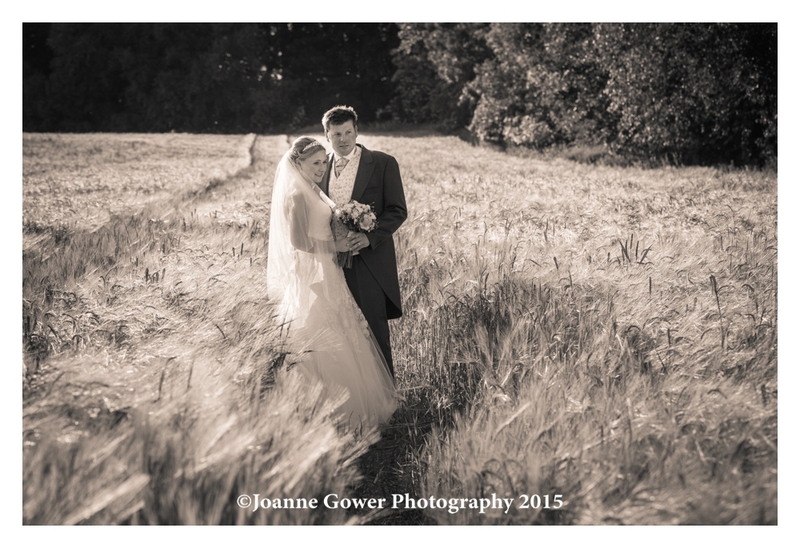 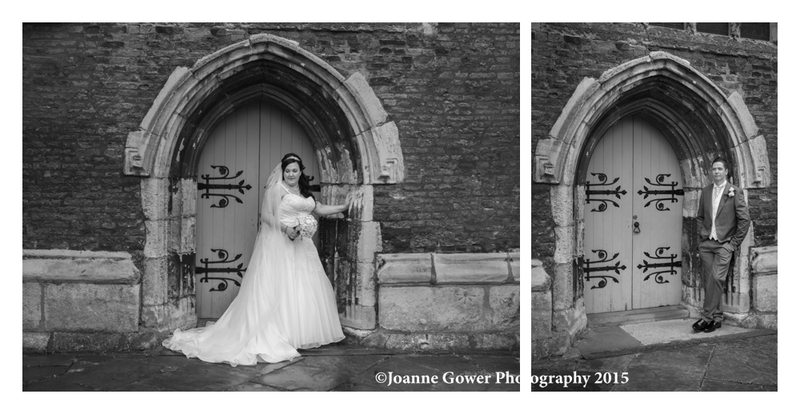 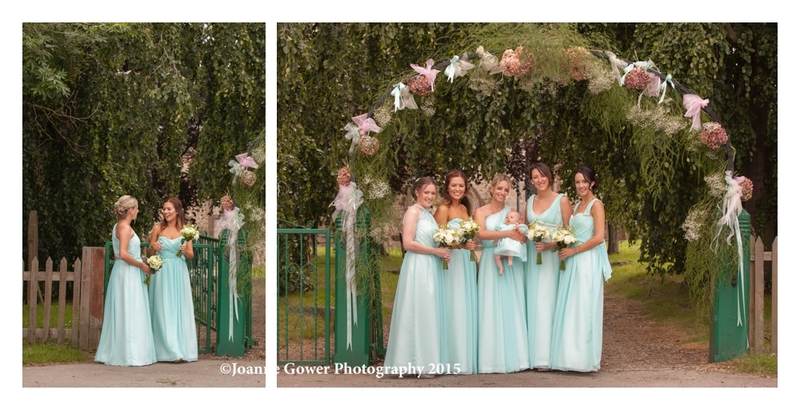 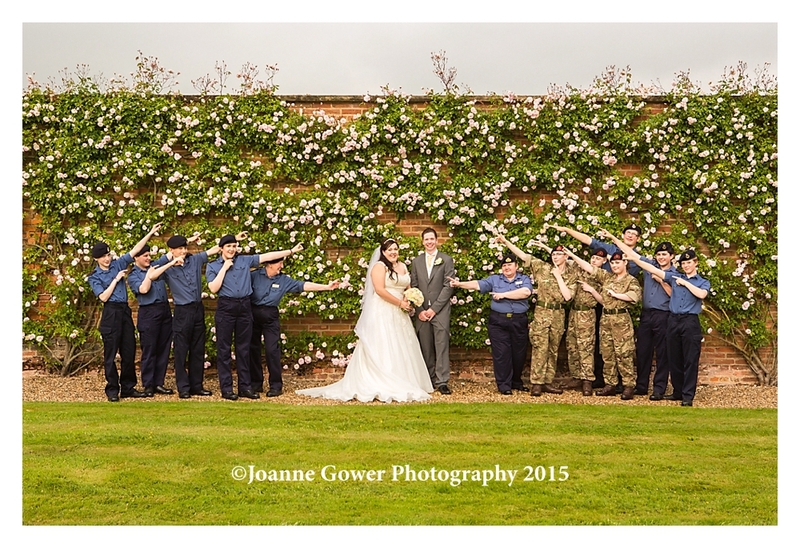 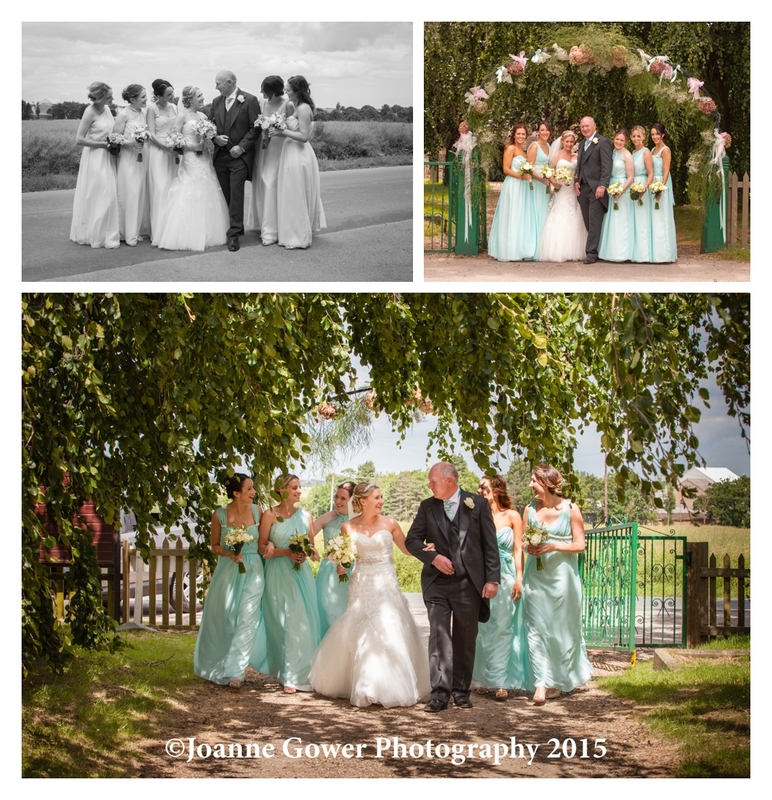 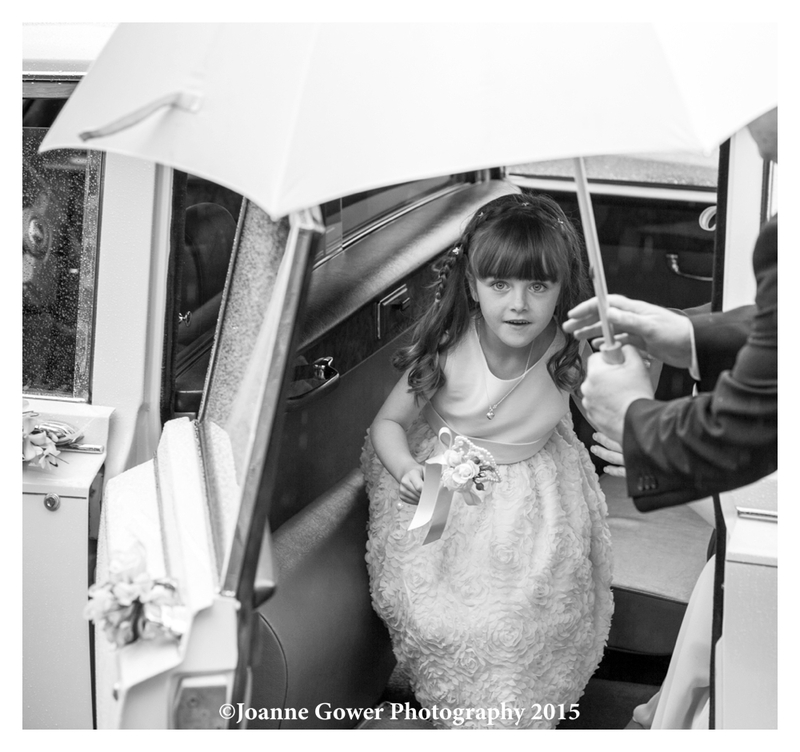 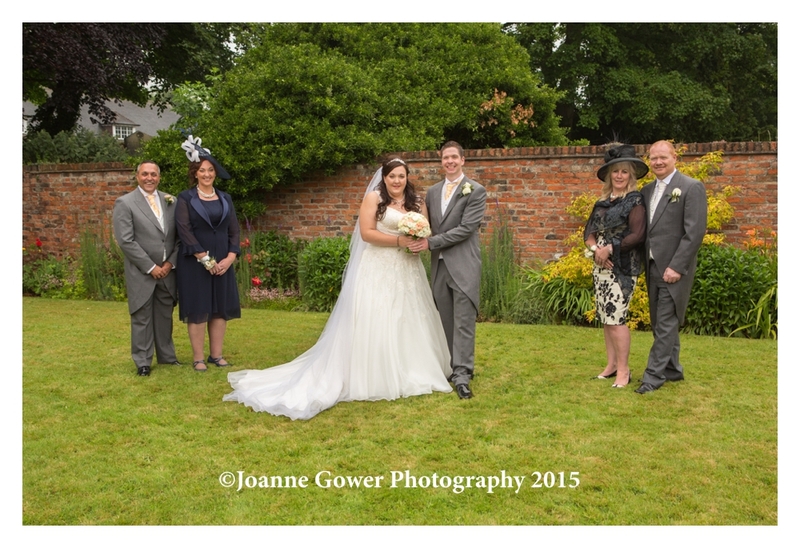 If you are looking for a wedding photographer for your wedding in Hull, East Yorkshire or Lincolnshire and would like further information either give me a call on 01482 629430 or drop me a line at info@joannegowerphotography.co.uk. 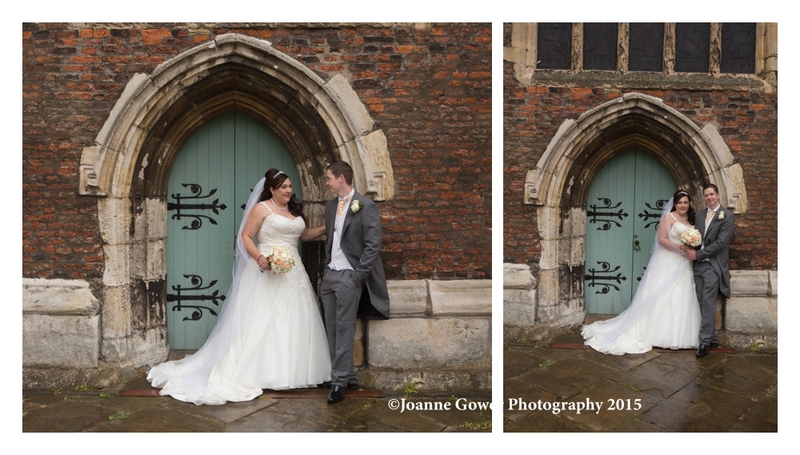 We are also taking enquiries for destination wedding photography and weddings outside of the Hull and East Yorkshire area. 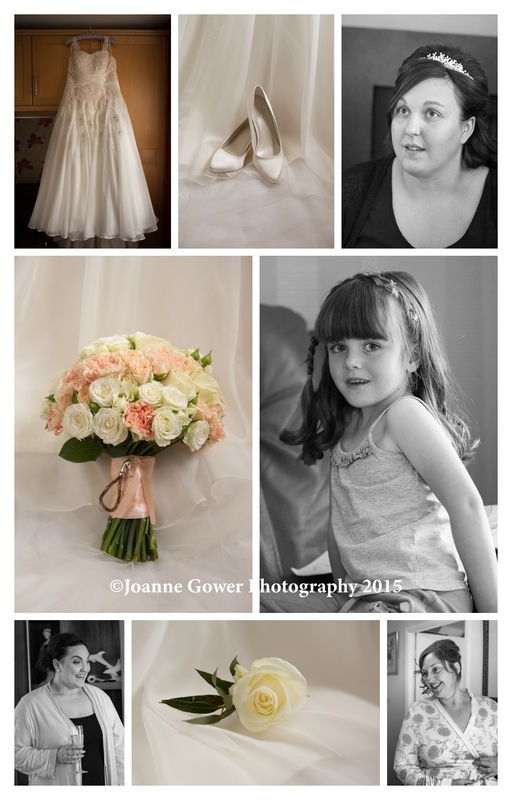 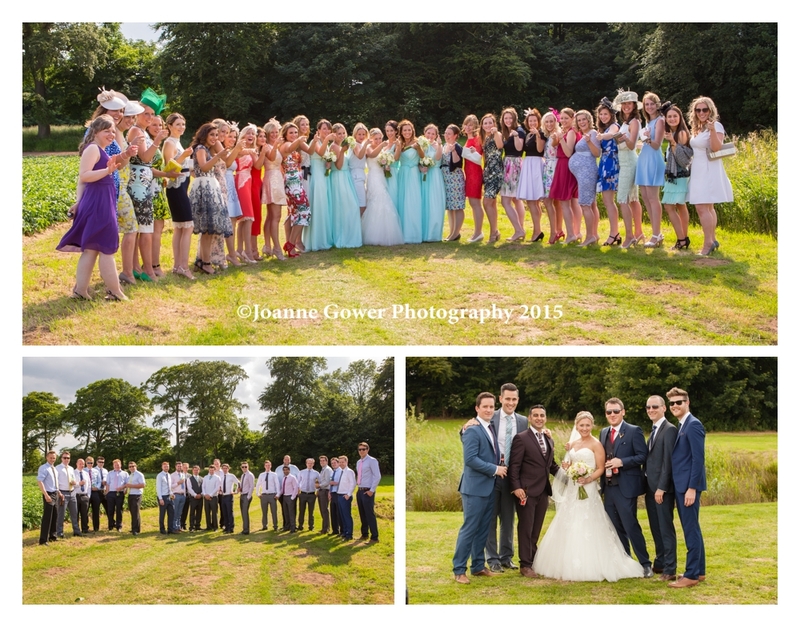 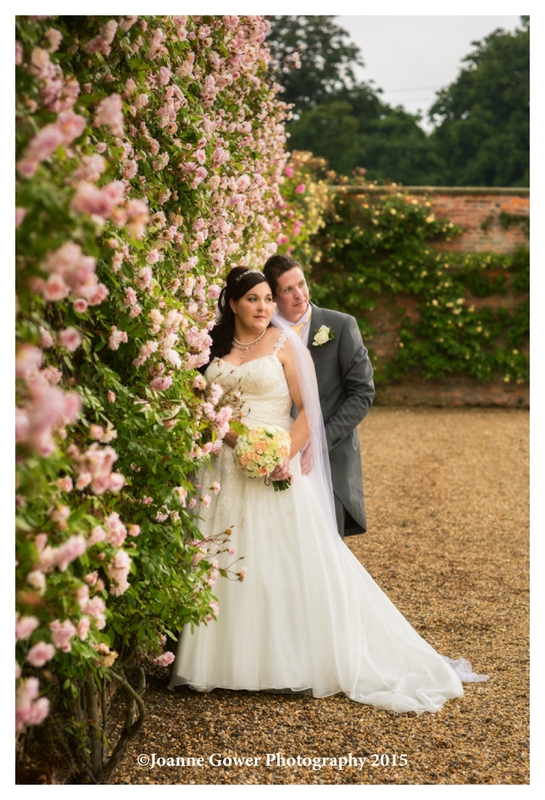 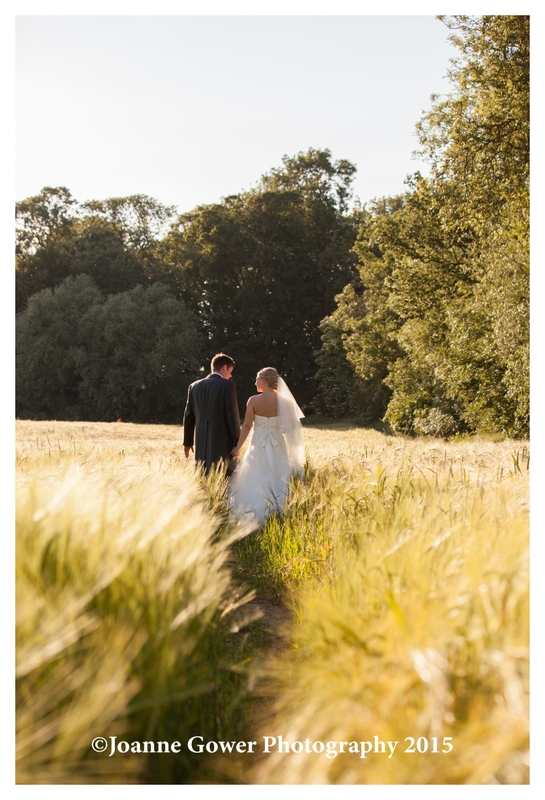 We specialise in a mix of creative, formal and documentary wedding photography. 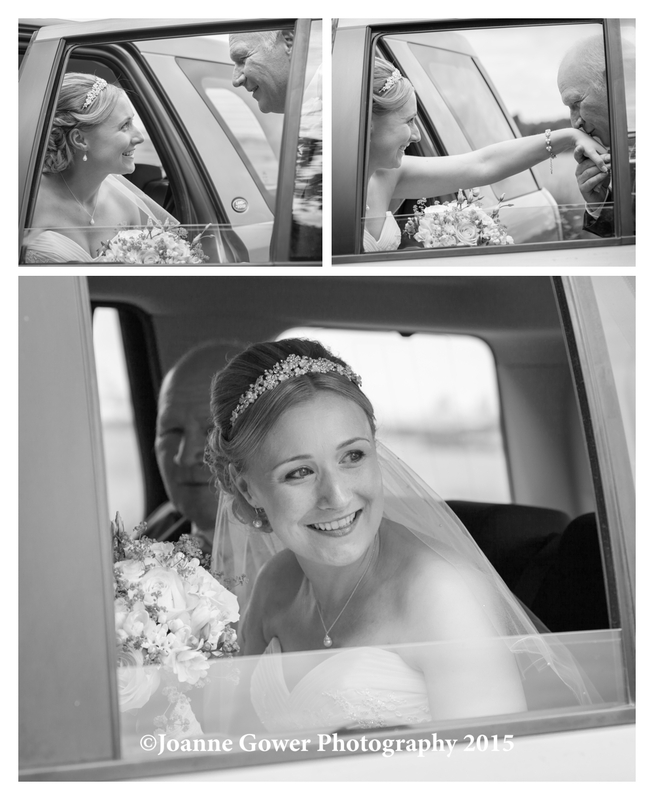 For us, no two weddings are the same and we are able to adapt our photography style to match your own personal requirements. 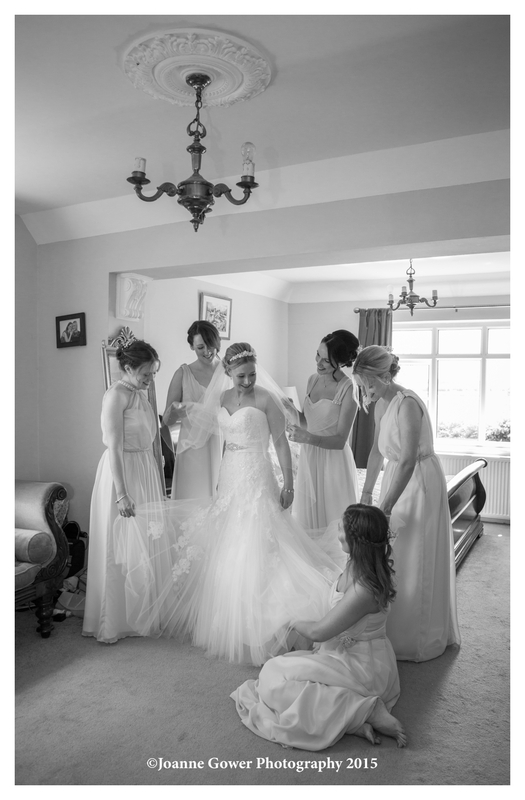 We offer a range of packages from bridal preparation to first dance with your choice of albums, prints and also digital collections. 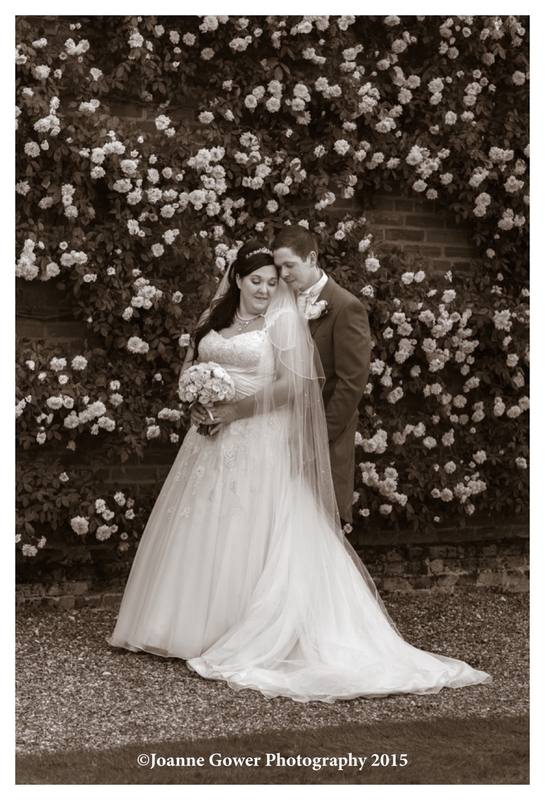 Associate member of the British Institute of Professional Photography.